Parents are constantly searching the web to find answers to the many questions they have on a daily basis, which led to the realization that there is a huge need to streamline great content while creating a community of parents who can share information and lean on each other for advice. 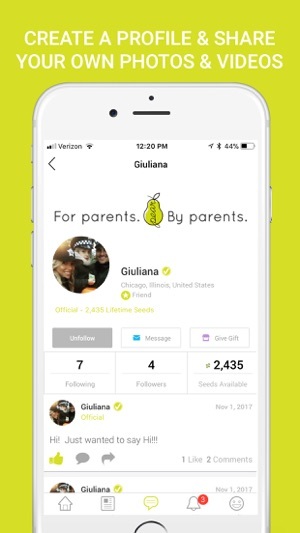 Introducing Pear - a new community “for parents, by parents." 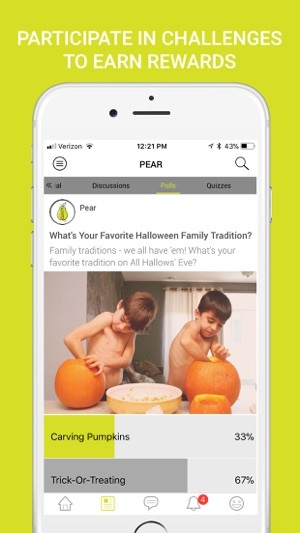 Pear gathers the latest and best articles from across the web and houses them all into one easy-to-use, interactive app. 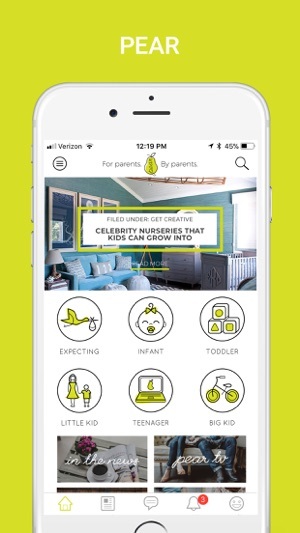 Pear also showcases a variety of our own contributors including child/family therapists and registered dieticians as well as everyday moms and dad’s sharing their own experiences covering a wide range of topics from parenting tips, party ideas and recipes for the whole family all the way to infertility and adoption. • Get exclusive access to our Pear community. Our private forum allows our Pearents to connect with one another and seek advice from others going through similar situations. We also have “Near Me” functionality in the forum so moms and dads in the same area can connect. • Create a profile and share your own photos and videos with the community members and experts. This comes in especially handy when your little one has an issue you want to photograph and get advice on. • Participate in fun challenges to earn seeds which can be used towards exclusive rewards and great prizes. • Monthly: VIPear for $2.99 per month. • Yearly: VIPear for $12.99 per year. Please note: Subscription automatically renews unless auto-renew is turned off at least 24 hours before the end of the current period. Your iTunes account will be charged for renewal within 24 hours prior to the end of the current period, at the same price point listed above. Subscriptions may be managed by the user and auto-renewals may be turned off by going to the user's iTunes Account Settings anytime after purchase. No cancellation of the current subscription is allowed during active subscription period. Any unused portion of a free trial period, if offered, will be forfeited when the user purchases a subscription. When the app first started the constant discussion board interaction was amazing. It was nice to give and receive great advise from others who had been through similar situations. Sadly, these days there is barely any activities. I still greatly enjoy the articles but i hope the discussion boards pick up steam again which would bring it back to a 5/5 star for me! So great to hear the problems other moms are having and how they solve them - it’s like having thousands of friends to give you advice! Great articles from experts too! So happy to have found this - I’ll be a better mom to my kids because of it! 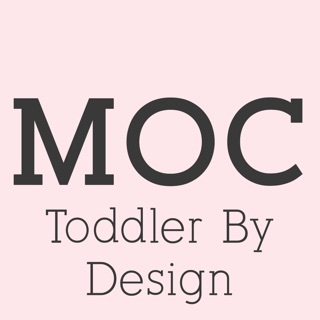 Highly recommend this app for all parents! There is a ton of rich content in the app and it is constantly updated with news and relevant information. I have recommended this for my brother and sister in law and my mom and they love it. Five stars across the board!